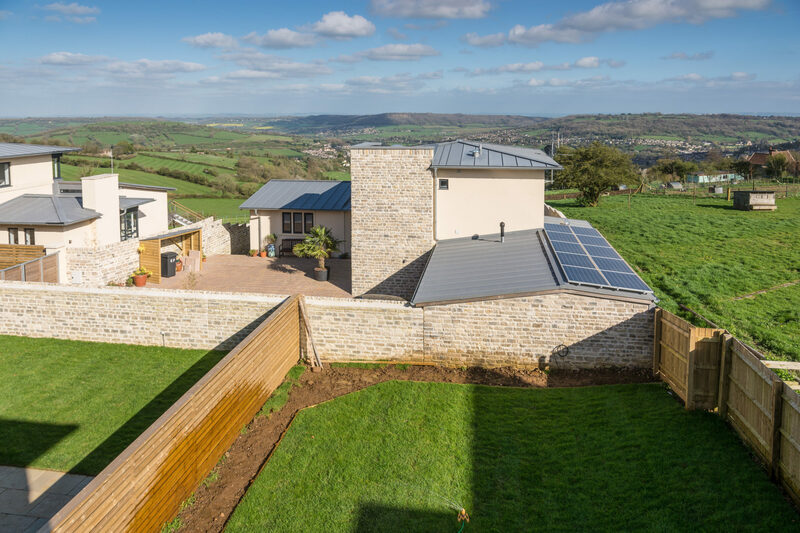 The slope down from the road on the west to the field on the east has been used to create a small development of characterful and individual houses. 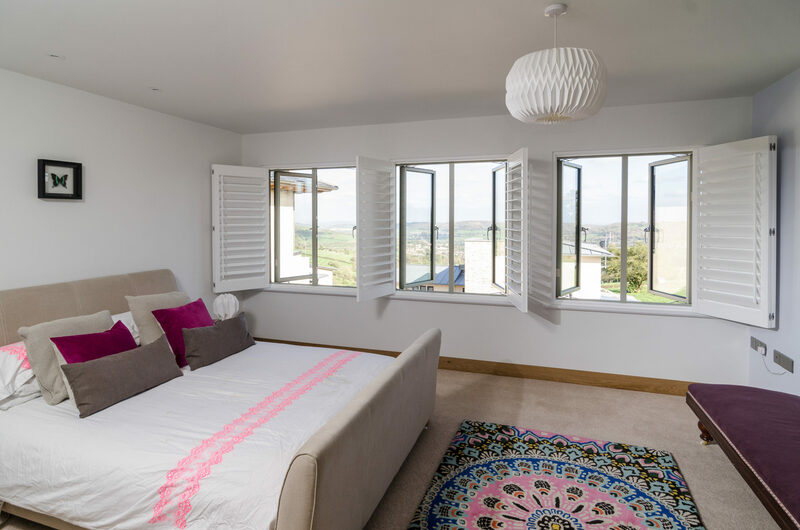 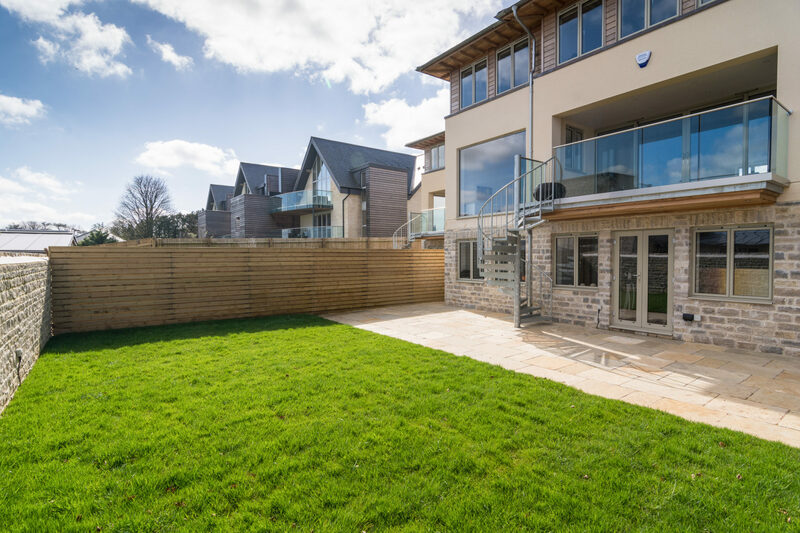 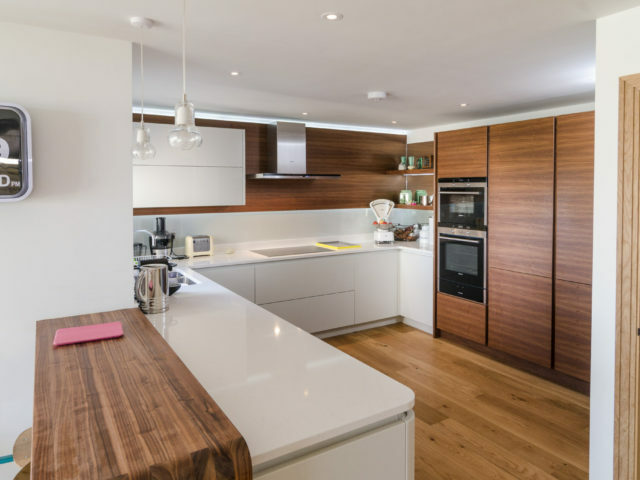 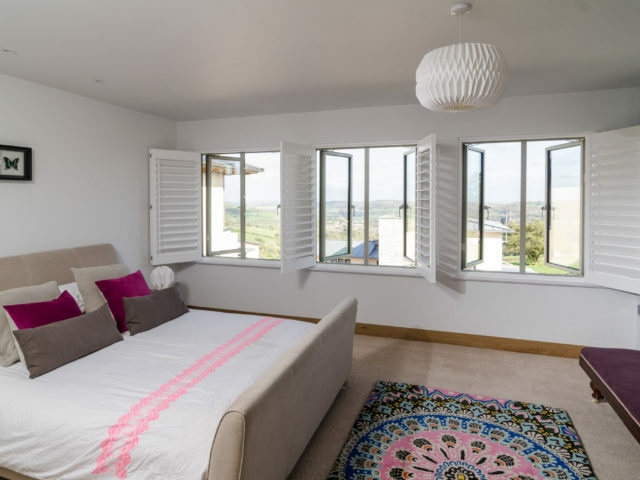 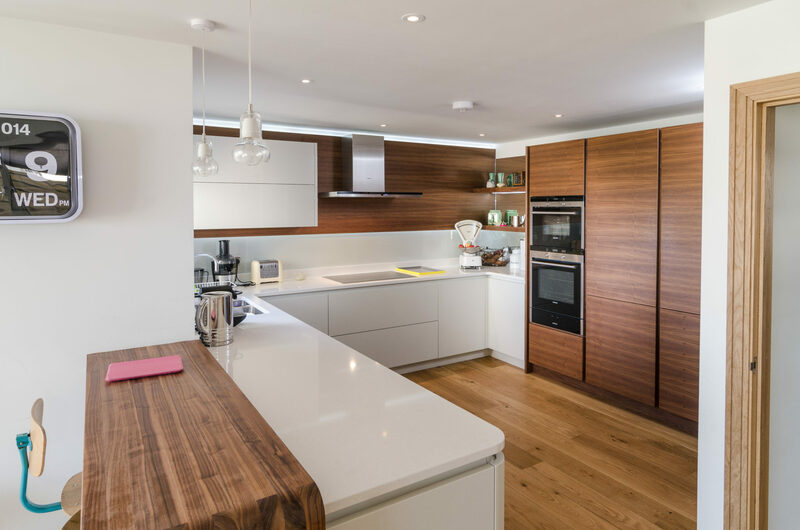 The two on the field side, approached via a tree-lined private driveway, are very much in the contemporary architectural style which has been highly praised on the nearby Lansdown Ridge site. 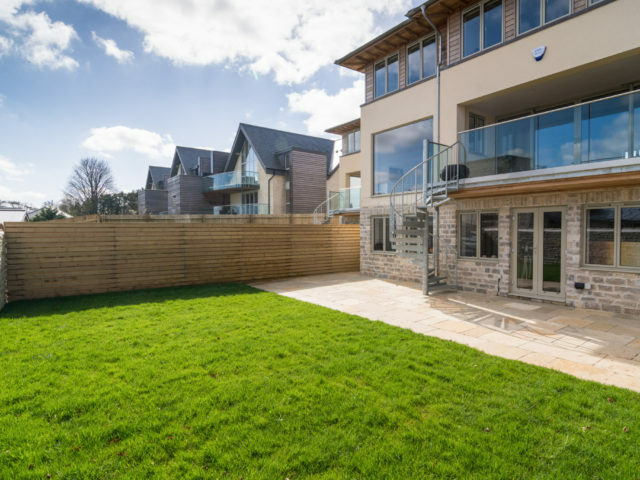 Externally, these have a strongly horizontal architectural emphasis, wide decks, expanses of sliding glass, and projecting zinc roofs. 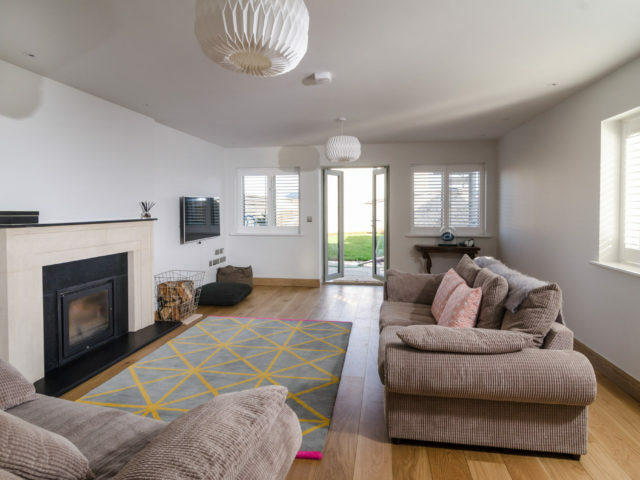 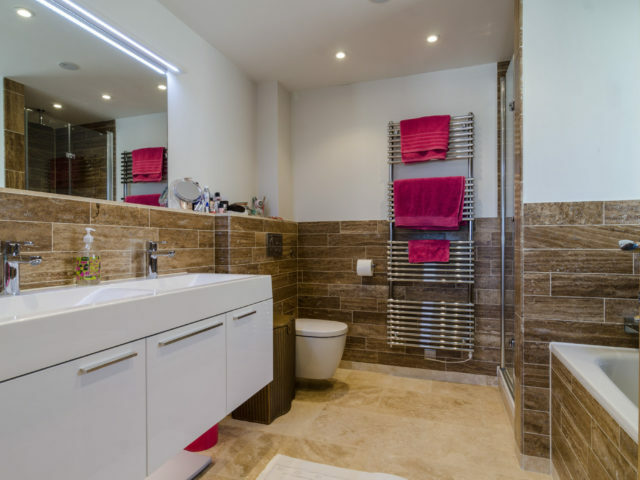 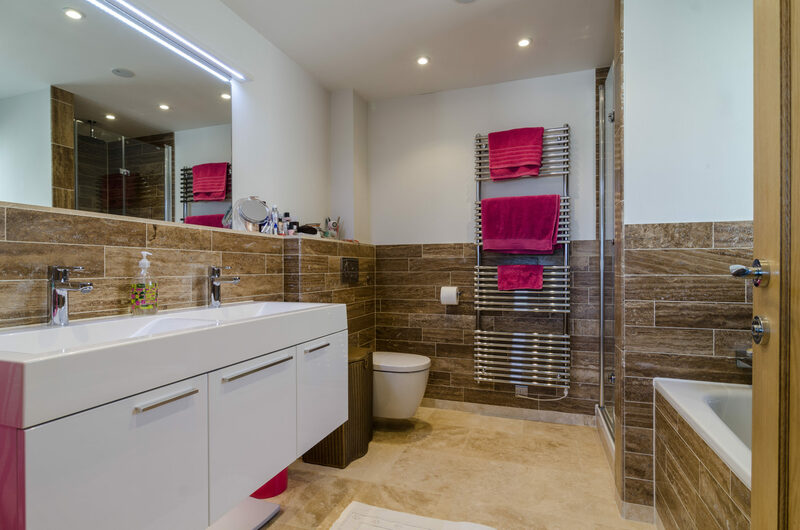 Internally the open plan, double height spaces, and other features provide the character which suits this increasingly popular “lifestyle” choice. 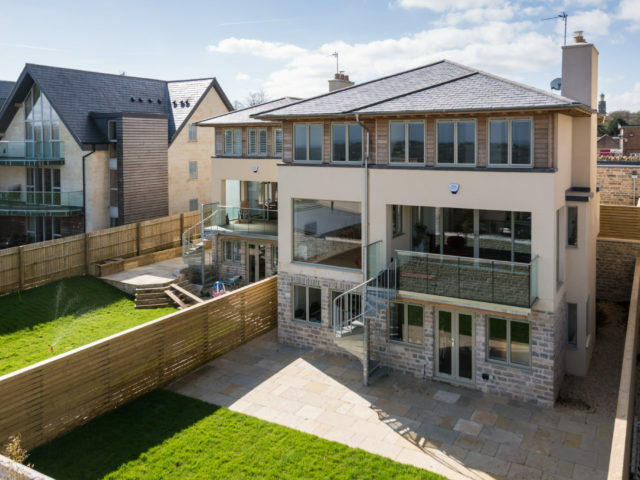 Both of these houses have been sold off-plan on a ‘Bespoke Build’ basis. 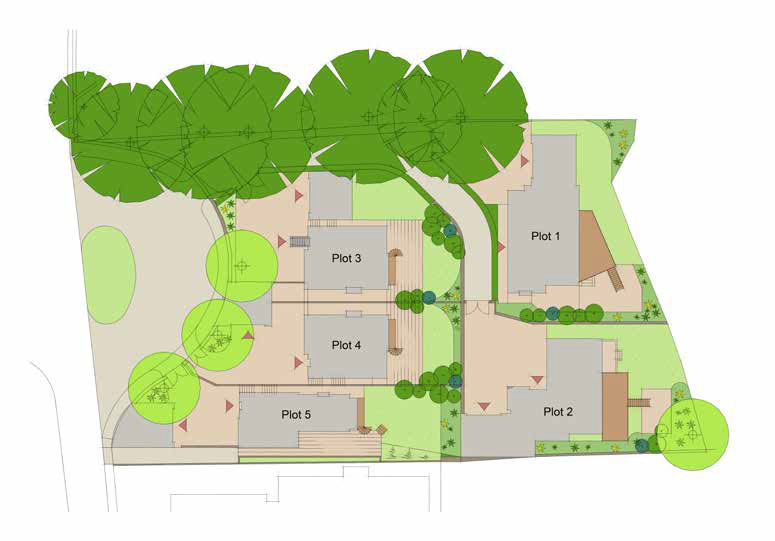 The three on the upper side of the site also use the slope carefully so that the upper floor has a clear outlook over the roofs of the lower level houses. 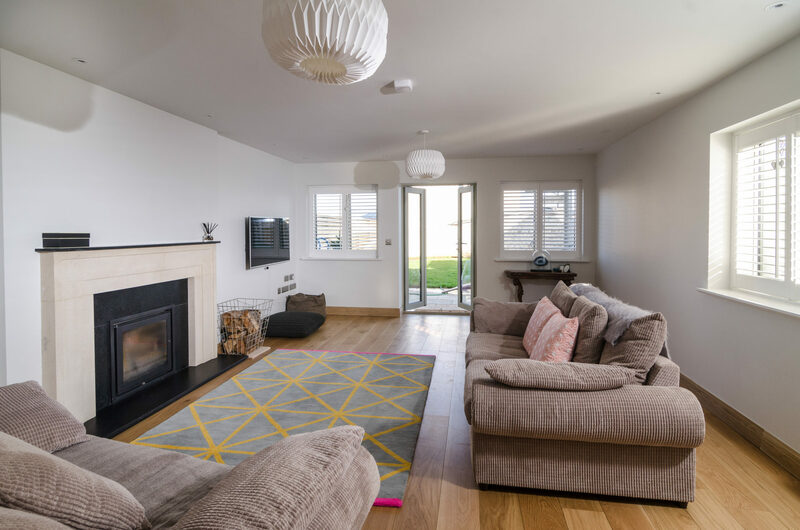 The middle, entrance floor (with the large open plan kitchen/dining room and a “loggia”) also has good views between the relatively compact upper floors of the houses below. 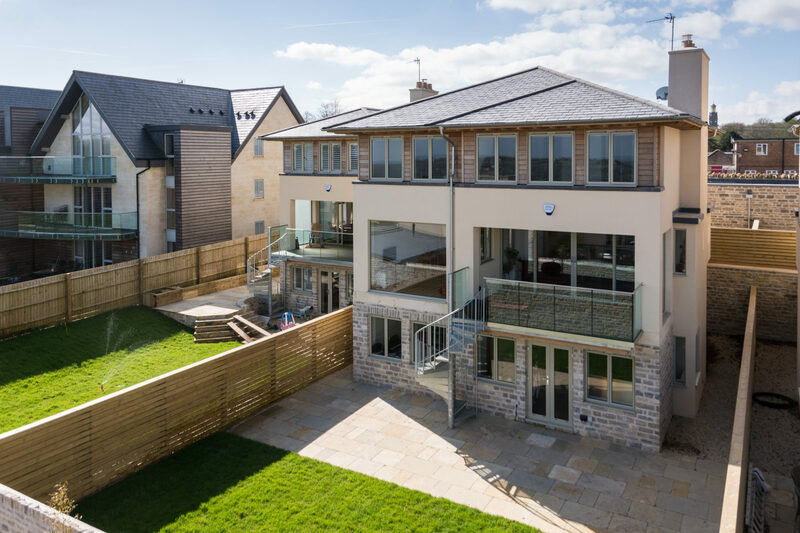 Most of the main rooms of these three “Upper Crownhill” houses benefit therefore from the superb outlook, and because of their relatively narrow frontage/deep plan and three storeys, provide a generous space in an economic building form in energy efficiency terms. 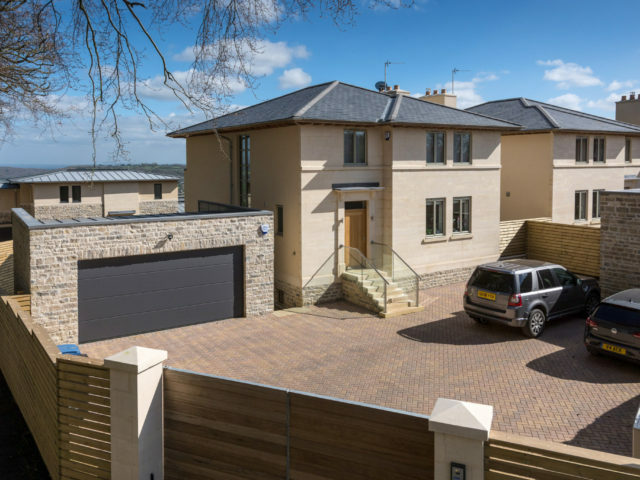 Their position made it desirable in townscape terms that these houses should address the road as a “frontage”, and for this reason the architectural treatment on this side is more restrained, with a deliberate echo of the Italianate style regency villas which cluster on the hillsides around Bath. 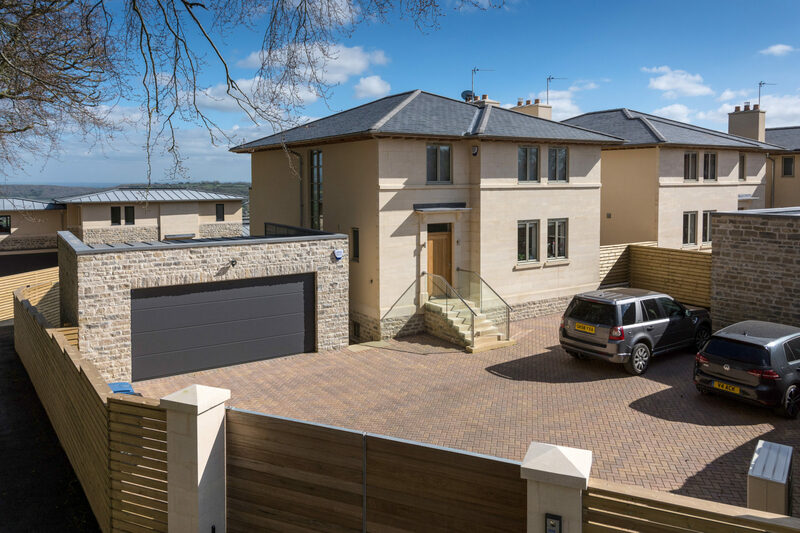 There is a subtle balance between solid/void and horizontal/vertical, which with the smooth Bath Stone ashlar, and the blue/grey natural slate hipped roofs with deep eaves, provide a robust but elegant visual composition. 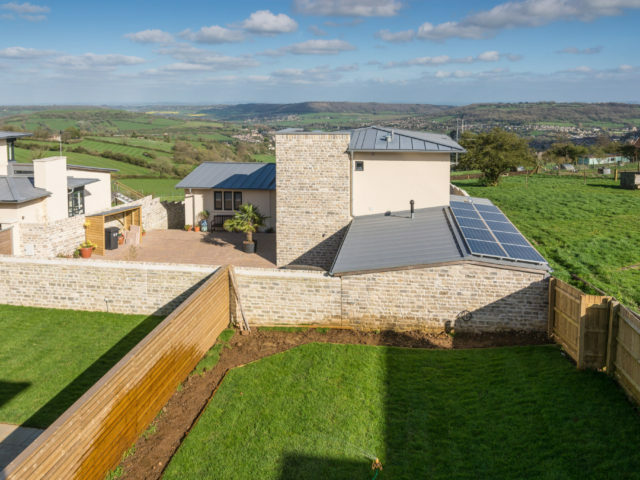 On the other hand, privacy and security have also been addressed, with the houses set well back from the road within an attractive enclosed courtyard area, behind high stone walls and electrically operated gates.